This is my favorite pic of HCH in the last several months. It deserves to be it’s own post, because, well, monster dress! Holiday handprints, plus a few custom creations. This FollowingHollis post now becomes our virtual refrigerator! Our little flower likes to brush her own teeths now, thankyouverymuch. 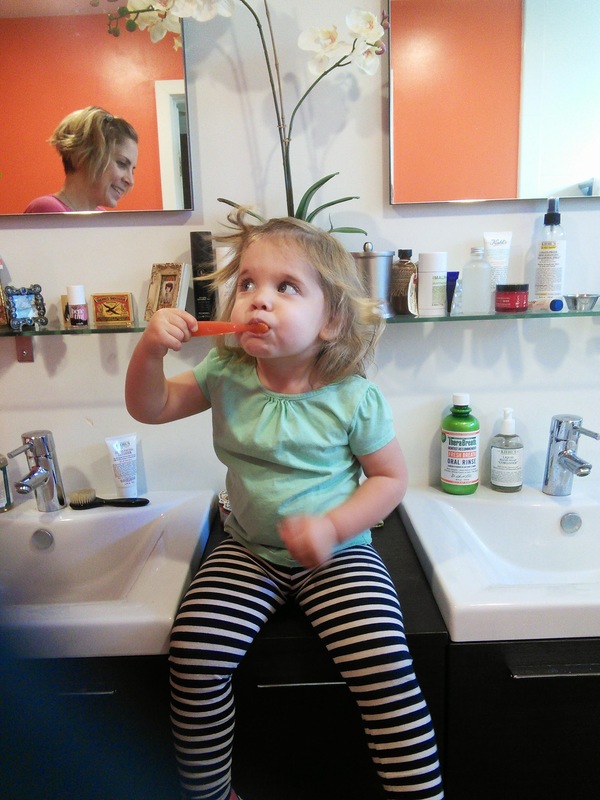 My favorite part is when she makes the spit noise into the sink with an empty mouth, in a clear attempt to mimic daddy’s patented “p-tooey” of morning mouthwash. Ah, the mimic phase, she has begun! We must officially now watch our language.